Speaking about the 'Johnny B. Goode' hitmaker, Richards said: "We deliberately tried not to 'do a Chuck Berry,' so to speak. But on every one, Chuck's influence is there, for sure." And Richards has revealed everything about the vocalist attracted him to Berry's music. He explained: "I guess it was the combination of all of those things. To me, it had sort of a crystal clear clarity of what I wanted to hear, and what I was aiming for ... There was an exuberance and they were not too serious. What was serious was what was going down -- they weren't serious about it." The 'Satisfaction' artist has revealed he loved Berry's ability to "vary" his music on every release. He explained: "And I love the fact that he could vary his music. When you listen to "[You] Never Can Tell," he had a handle, he was very interested in various kinds of music. He used country music....[and] he was a great admirer of Hank Williams. We used to sit around talking about country writers." And Richards has admitted the first single of the Missouri-born star's was his 1958 single 'Sweet Little Sixteen'. He told Los Angeles Times: "The first was probably 'Sweet Little Sixteen,' since I was about 16, or 15, at the time. There's that lazy beat and a sweet little melody. After that the one that taught me was 'Back in the USA.'" 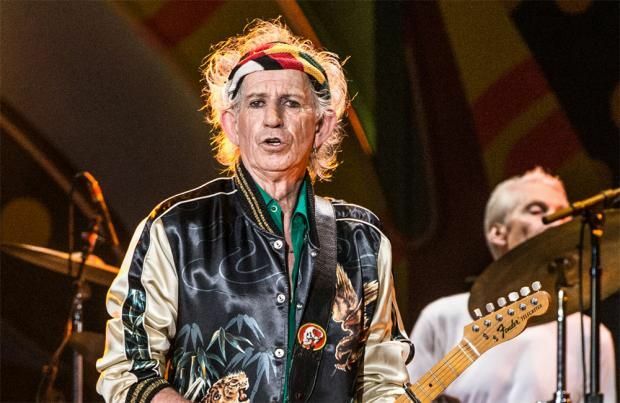 The article should also give a nod to the founder of the Rolling Stones, Brian Jones, who was very much influenced by the music of Chuck Berry among the other blues greats.